Ms. Wu oversees operation processes for Devon International, and is the liaison between DIG’s Chinese headquarters and its sales teams and clients. Before joining DIG, Ms. Wu worked for JP Morgan Chase in Taiwan for five years. She gained extensive experience in international trade and banking practices en route to her role in the Corporation Banking Department. She then became an authorized signer and Portfolio Management Associate for the Asia Capital Credit Department. 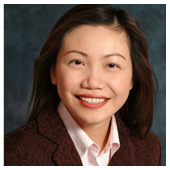 Ms. Wu received her Master of Business Administration in Marketing and Finance from Drexel University and is accredited Beta Gamma Sigma by The Association to Advance Collegiate Schools of Business (AACAB) International, the Business School’s honor society.